Escape to this country inn, a quiet retreat in the small town of Mazama, secluded in the beauty of Washington's North Cascades. 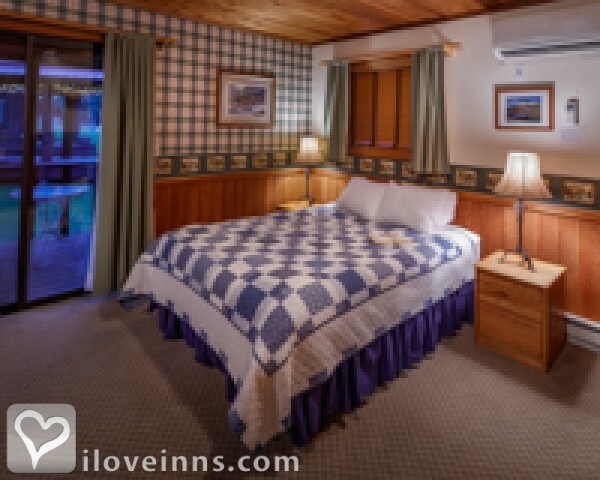 Relax amid log beams and cedar siding in comfortable guest rooms with breathtaking views. Gather with a hot beverage by the huge Russian fireplace in the great room. Stay in deluxe accommodations with a Jacuzzi tub and gas stove. There is a room for every budget with an assortment of amenities. 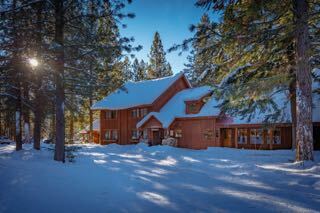 We also rent privately owned vacation homes/cabins nearby for more space and privacy, with fully equipped kitchens and linens provided. During winter, an inclusive three-meal option is offered to inn guests with a hearty breakfast, pack-your-own lunch to go and a family-style dinner. The inviting setting includes a fitness center, sauna, hot tub, swimming pool, tennis courts and an onsite restaurant. Enjoy a variety of local activities. Payment Types Accepted Include Discover, Travelers Checks, Visa, Master Card, Personal Checks and Cash. 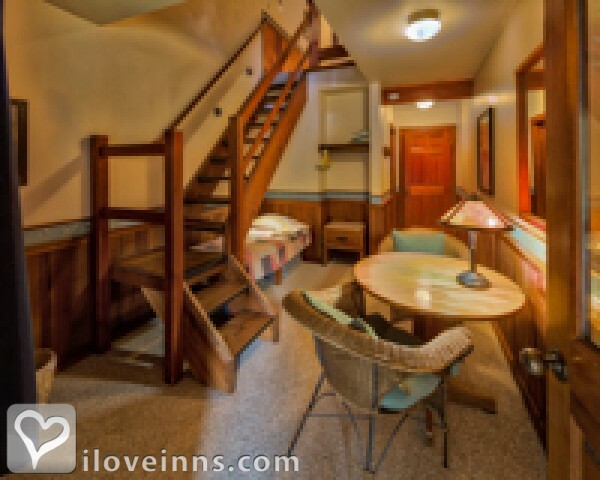 This property has 18 total guest accommodations with private bath, 8 with fireplaces, 3 with whirlpools and 20 cabins. The types of beds available include Twin, Queen and King. Our restaurant uses organic and local, natural foods. Nestled among beautiful, tall evergreen trees, our peaceful garden setting features native plants and flowers. An ideal setting for a summer wedding. The dates this property will honor the certificate are Anytime, except holidays and holiday weekends. Cabin rentals are not valid with this offer.. Loved staying with you, cannot think of one improvement. Staff was helpful & friendly. Hiking was spectacular. Maybe warn hikers to wear Crampons when it snows....but nothing bad happened! 4th time I stayed with you! It was perfect. Liked the homey feeling from staff and facility. And to think you are in my backyard and after living in the valley for 30 years, it was my first time staying at the inn. I have always known the food is great. We had a great time as usual. Good to see you both and the others who work there as well. The food was especially amazing this trip! We loved the scallops-over the top good. Take care, have a good spring. 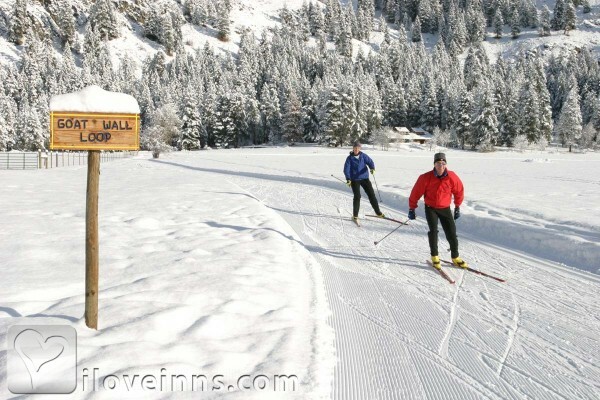 We are eager to come over there again especially with all the new snow. Can't believe our circumstances but we are so thankful for an unexpected night back at this Wonderful Inn! Thank you to the delightful staff you for their kindness! We had dinner in the restaurant-Very friendly staff, extremely helpful. Good Food and Service was great! We appreciate the local, organic and free-range type food that is served here. We think its important. Especially in a valley like this where there should be a lot available. Great local food served by a friendly staff! We came for the grass-fed beef-delicious! We couldn't have asked for a better place! We couldn't have asked for a better place to end our Highway 20 roadtrip. We were hungry, thirsty, and tired and knew that there wouldn't be many places available with the "charm" we were looking for.. Mazama Country Inn hit the spot dead center!! We were able to get a room, order local draft beer and huge custom italian sausages, and check out the local shop all within walking distance. Our room had no tv and that didn't bother us one bit. The next morning I had the opportunity the visit the sauna and then have breakfast before we went to check out Goat Wall.. Be Aware! That road is not meant for a rented mini cooper, but totally worth the view if you attempt to make it to the top!! We can't wait to visit again!! Just a quick note to thank you all at MCI for another fabulous weekend! We love you! Thank you for everything! The food was great, the place was wonderful. Leaving excited for next year! To all, God Bless! We very much enjoyed our stay. What a beautiful place. Thank you from two old foggy honeymooners. 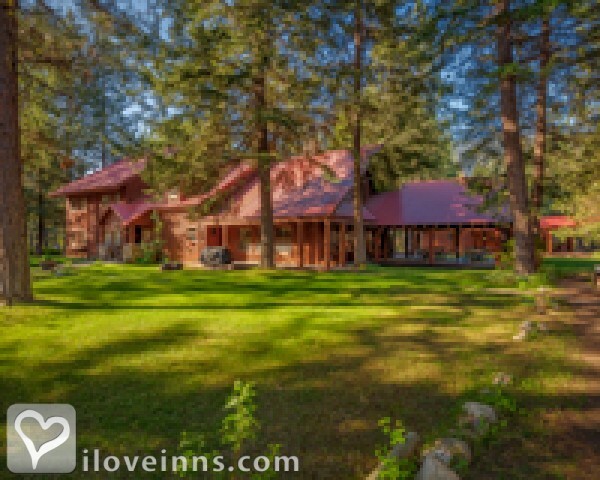 We have nothing but great things to say about the Mazama Country Inn. They were so easy to work with. The setting was gorgeous, the food was delicious. They were right when they told us to just enjoy the day and the staff would take care of everything. We did!! Thank you! Our friends said that Thanksgiving was the best they ever had! They though that dinner at the Mazama Country Inn was especially nice. We loved the feeling of everyone gathering prior with drinks and appetizers and then sitting down for a meal. It felt less like going to dinner in a restaurant. The snow at dinner was a nice touch, too! Thank you for helping us have an amazing wedding weekend! The food was beautiful and delicious and the staff was helpful throughout the weekend. 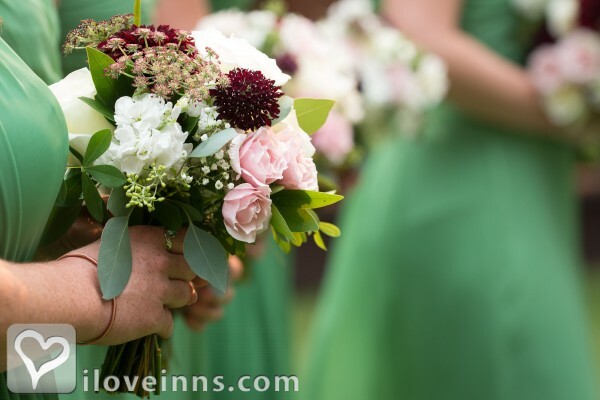 We were so happy to have had our wedding at the Inn.The setting was gorgeous and memorable. Thank you again for all your help and energy! What a great time we all had with you again this month! Everyone helped make our stay one we will remember. The accommodations were very comfortable and the meals superb! Four nights and three days seemed not enough and we could have stayed on and on. Let's communicate early in 2011 for next fall's dates! Comfortable accommodations, great food, great staff -- thanks! I love this inn! The staff helped us plan hikes, mountain biking and horseback riding while there in the summer (not to mention they have a pool! ), and then we came back in the winter and were able to take advantage of the amazing cross country trails (and outdoor hot tub). The Inn is comfortable, charming, and so beautiful!! 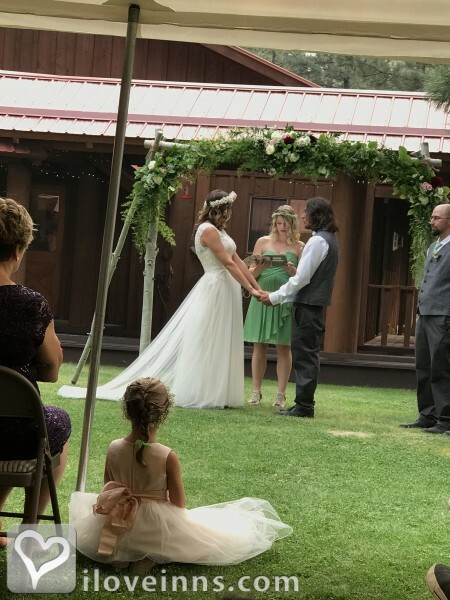 The Mazama country Inn is so amazing, we had to get married there!! My husband and I had a wonderful retreat at the Inn. We stayed in one of the outer cottages. It was quiet and relaxing. The staff provided outstanding customer service, without being invasive, Mary, the Inn manager, is a delight. We loved the inn's cat, Davidson. We hope to make the Inn a regular destination. My wife and I have been going to the Mazama Country Inn since before they build all of the great add-ons. It is a great family atmosphere with so much to do, with your children as well as a romantic getaway. 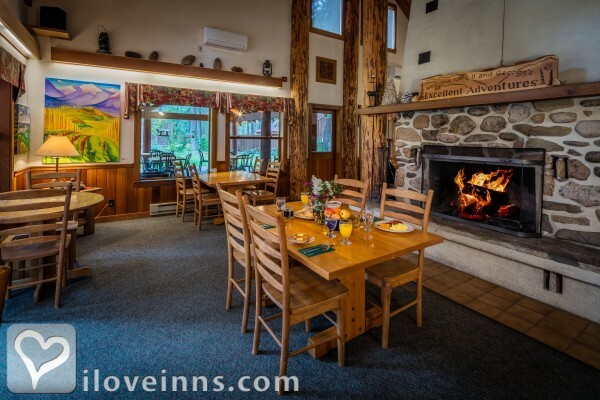 Although the kitchen at the Inn is only open during busy times, when it is open, they have the best food in the Methow. We especially love their french toast. I cannot say enough about this place. We will always cherish it, and it is so much nicer now with the larger room options, hot tub, pool, and exercise facility! WOW!! They've done a great job! I stop in here every chance I get, usually first thing in the morning on a Sunday or Saturday and the breakfast is always great! Love the Russian fireplace too!! Cozy retreat in a gorgeous setting! My husband, his father (who was visiting from overseas) and I spent two nights at Mazama Country Inn to celebrate my husband's birthday and to give my father-in-law a chance to see a part of Washington State he hadn't visited before. 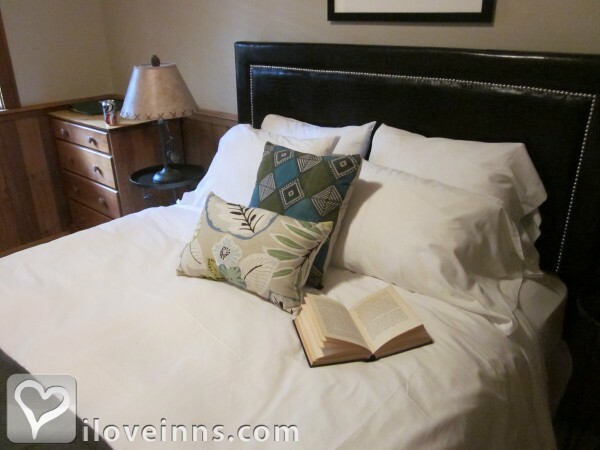 My husband and I had stayed at the Inn before and remembered having a great experience. Our return visit did not disappoint! We went during the off season and had the entire place to ourselves the first night. Our room was clean and cozy, and the setup was perfect for a couple + 1 person - a double bed in a loft and a single bed on the main floor. The hot tub and sauna are just steps away from the building, and both are in great condition. We loved the country-style, exposed wood beam decor in the common areas and quaint little touches like old snowshoes and skis on the walls and deer-shaped candlesticks by the fireplace. The complimentary continental breakfast offered plenty of choices to suit our tastes and fueled us well for day-long explorations of the area. The staff are really friendly and helpful, and we got a chance to meet the owner, who was also very nice! All in all, a great experience, and we can't wait to come back! The selection and quality was GREAT!! The service was also WONDERFUl!! The Inn was comfortable and beautiful & there was something for everyone in my family. We will be back soon!!! BEST staff members! Great food! It feels like you're visiting a friend's house, I love this place. All the staff members- front desk, kitchen, dining room, cleaning- are so friendly and helpful. We ate breakfast and dinner there, and both were delicious- even better than I imagined. Fresh, hearty, and tasty. 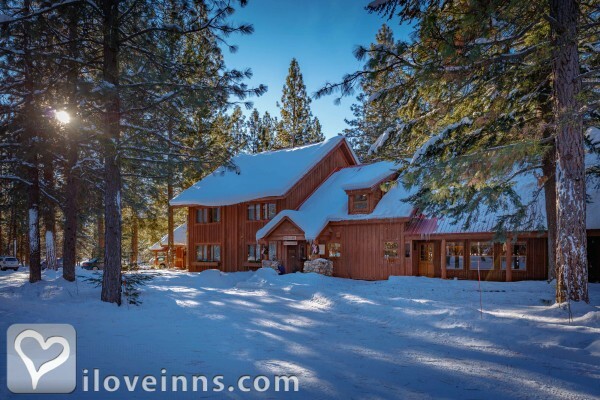 Top 5 B & Bs Best Northwest Escapes 2015, New York Times, NW Best Places.